Had the pleasure to spend two Saturdays in Yosemite the past 2 weekends. These views are from the past weekend. 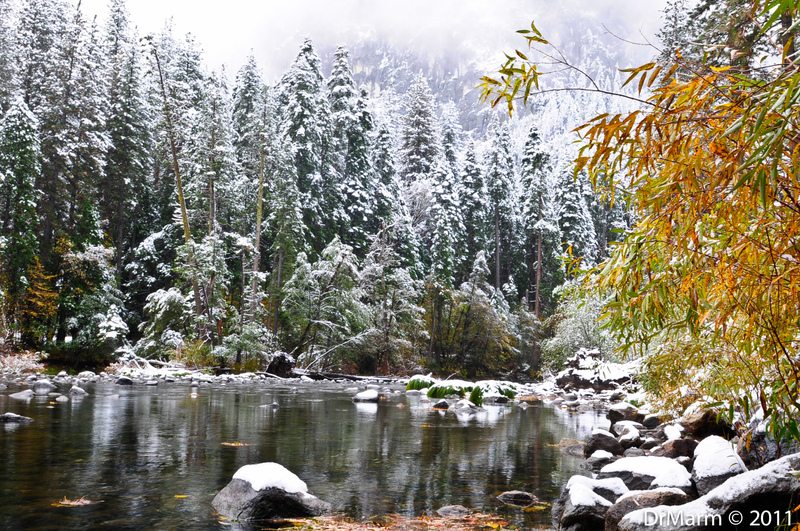 Normally, my posts are in chronological order–but snow in such a majestic locale trumped the Fall pictures from the weekend before. 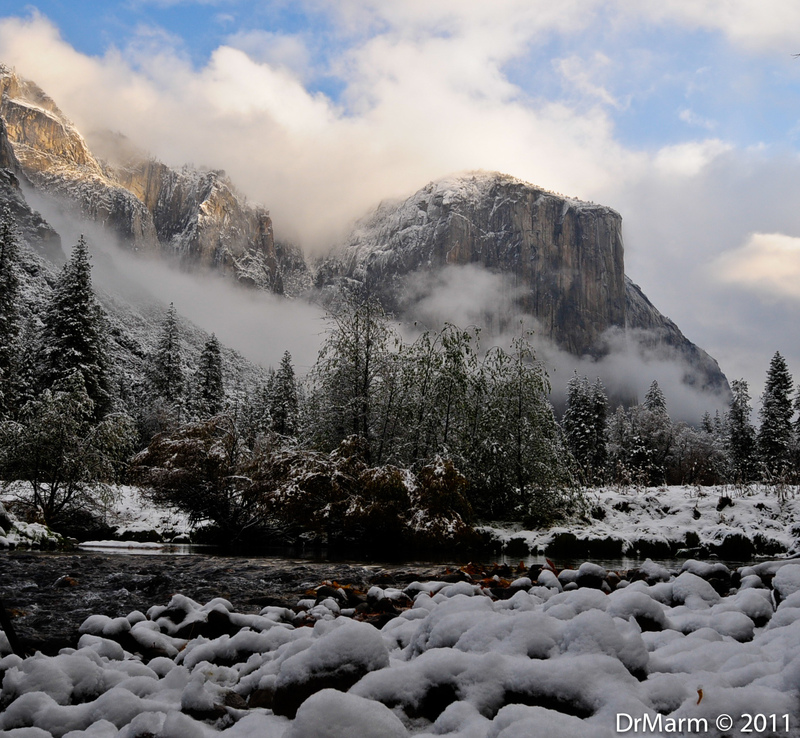 Folks say that if you want to get shots of snow in Yosemite, you need to be there when it snows, or it will melt. I was fortunate to be in El Portal, about 2 miles from the entrance on Highway 140. 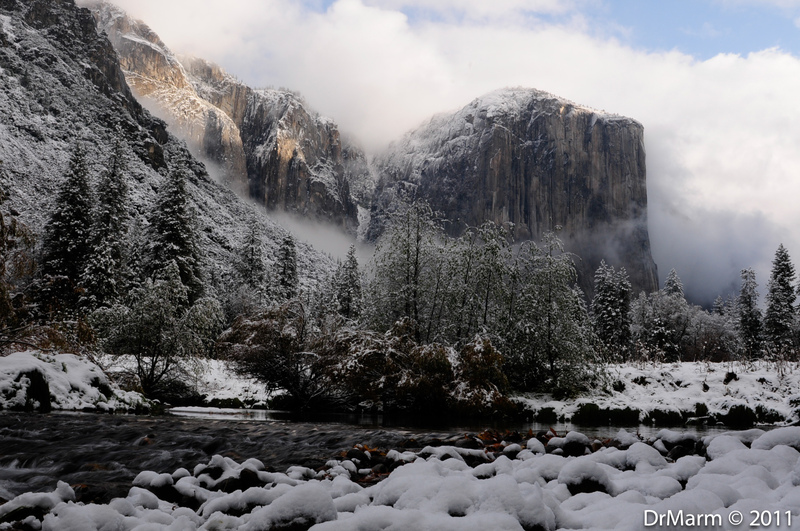 Didn’t plan on going back into the park on Sunday, but once I saw the snow dusted hills at 2,000 plus feet, I hoped there would be more at 4,000 plus feet, in Yosemite Valley. 20 minutes later, I was in awe of the beauty surrounding me. 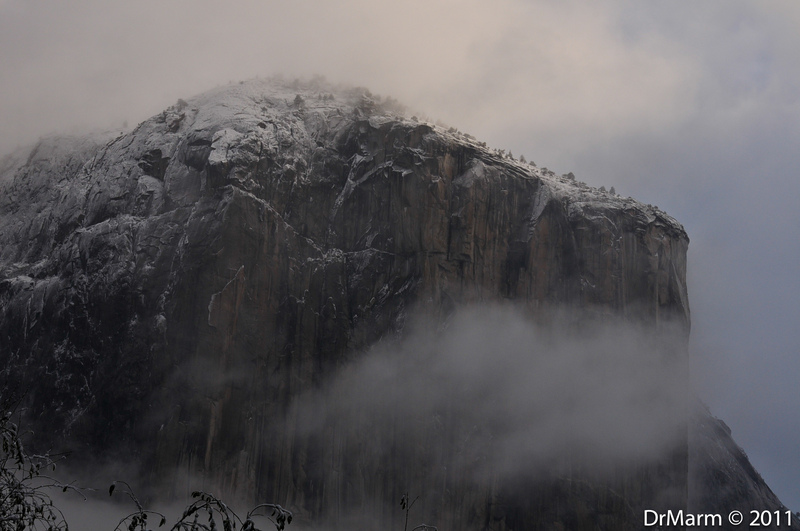 For these shots of El Capitan, I trudged across a snow-covered field and tiptoed through slippery rocks in a creek. I planned on getting wet, because I knew the shot I wanted would require me being low to the ground. Had on rain boots and rain pants, so the rest of me stayed dry. (But cold!) Kudos to Gary Hart and his daughter, Ashley–who let me follow in their snowy footprints. Going to a remote area with risky terrain alone, would not have been smart. Would not have gotten these by myself! To view amazing images, see Gary’s website: http://www.eloquentimages.com and his blog at http://www.eloquentnature.com. These two views, are similar–but I like them both and couldn’t decide which one to share! 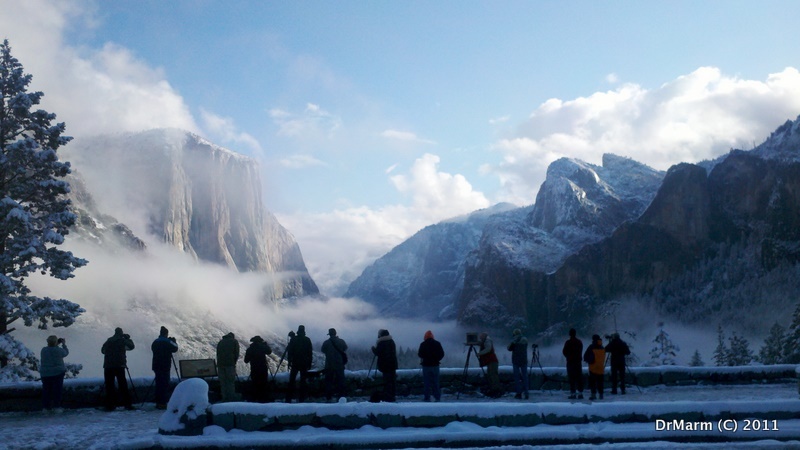 One of the most famous locations, is the shot from Tunnel View…a photographers paradise! I stayed here for about 30 minutes. 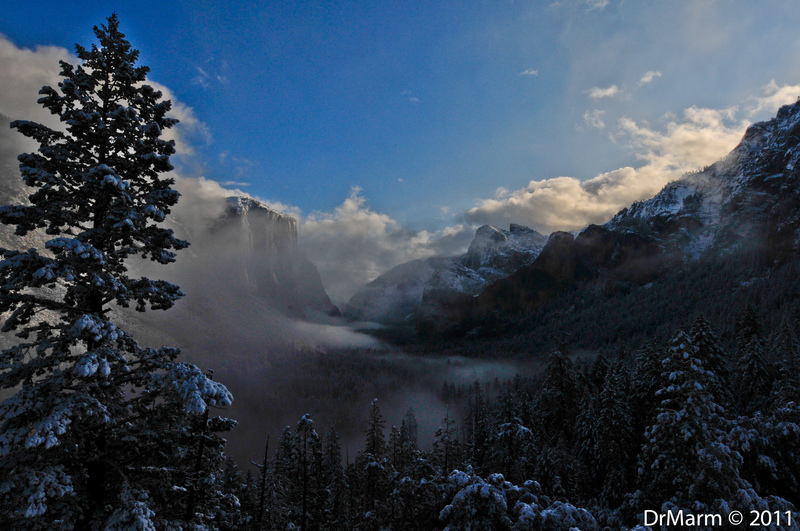 The valley would get covered in fog and then the skies would clear–just amazing to watch the transformations and the variations that appeared! A favorite location for photographers and less populated than the more iconic views is Fern Spring. 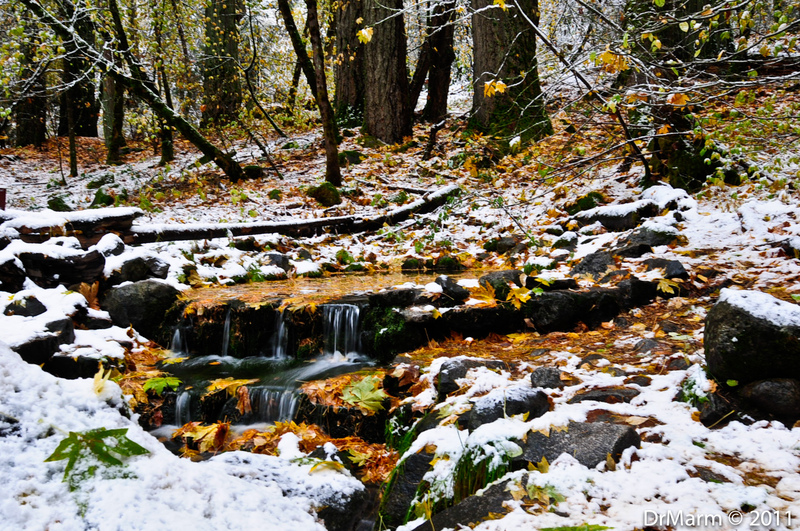 This is the smallest waterfall in Yosemite–about 6 inches for each step. This year, I invested in a National Park Pass. Have 11 more months to enjoy visiting our National beauties. 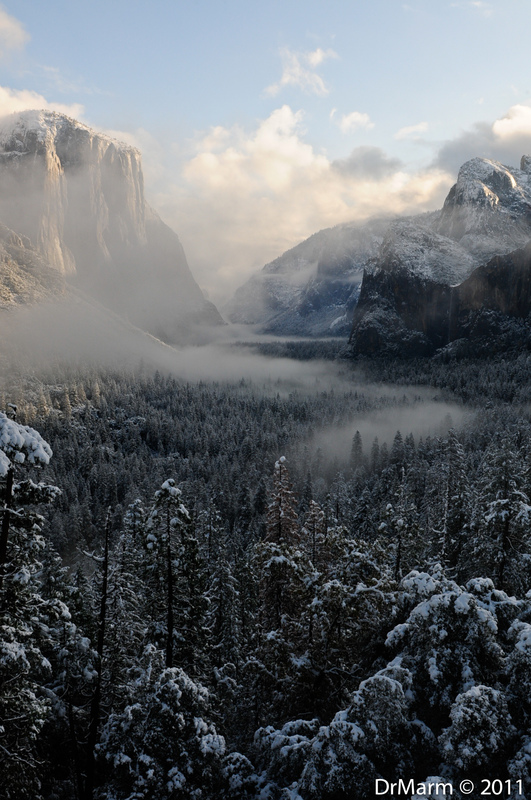 Hoping to visit Yosemite again in December:) More winter scenes to share. This entry was posted on November 11, 2011 by DrMarm. It was filed under Uncategorized . Really awesome pictures. Love the winter/snow look! Wow! Spectacular scenic views! I scrolled through this post three times because once around was not enough. Truly stunning images, Laura! My mouth is agape at the beauty. Wow. Wow. These are spectacular captures, Laura. I especially like the Rolling Fog. Terrific the way the snow accents the scenery. Simply spectacular. Words fail. Really, I can’t say enough. Each & every photo shows your eye, your composition, your confidence, your mastery … Yep, you’re there. Look forward to learning from you. Adding to the superlatives already expressed. Your shots make me feel as if I were actually there..only warmer. Of the two shots you weren’t sure which you like..I chose the second. Also like the zoom..and adding the shot of the ckearing clouds makes it all the more dramatic..movement, change. You have the lense I covet (70-200) Just got a park pass too.. Grat Laura, thanks for sharing! These are absolutely gorgeous Laura. 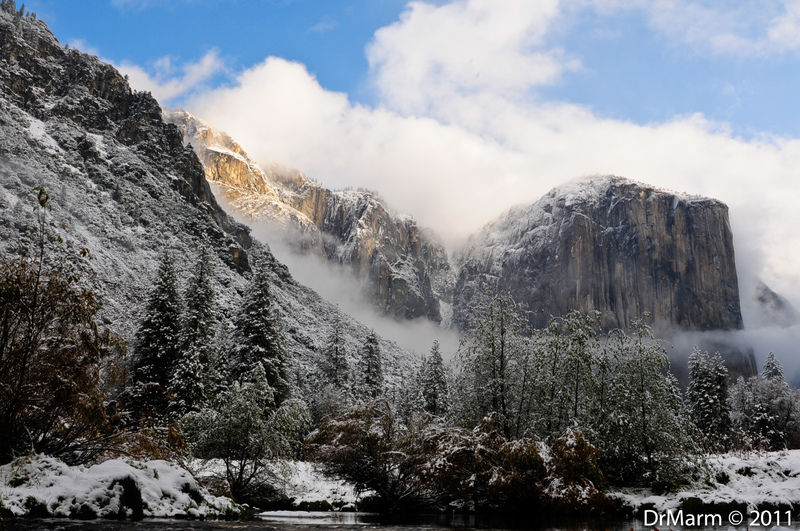 The winter photos are simply spectacular! Nice Laura. LOL you’ve been in the cold already. Beauty. Love the mountain scenes agree with Linda Spectacular. Like the closeup but really like the shot up the valley with the Dragons breath nice one. Love the Dragons breath concept, it SO fits! These photos left me breathless. What spectacular photos! Trying to find my fav, but I can’t . All too gorgeous! Incredible photos from your trip! Photog paradise for sure!